Description: Also known as Golden Butterfly or Areca Palm. 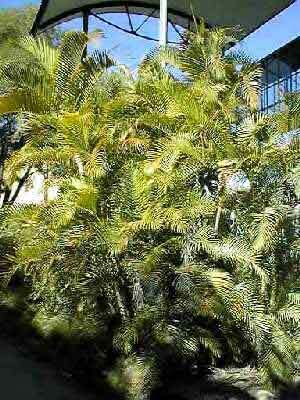 A medium sized clumping feather leafed palm that remains green in full shade and goes a golden yellow in full sun. Very popular clumping palm that has many uses.